Eyes are one of the most finicky and detailed areas of the face. 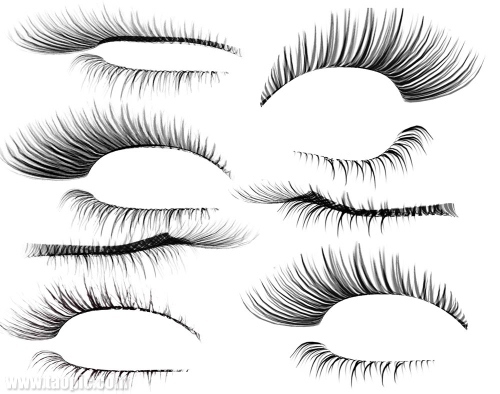 Drawing eyelashes can be especially tough, using hundreds of lines with slight variations. On the upper eyelid, draw each eyelash with Soft Round Brush (color: black, width 17px, opacity 100%). Use Smudge Tool (width 45 and straight 25%) on the eyelashes to straighten them. Use Eraser (width 65 and opacity 100%) if necessary. Create a new layer and use the same tools for the bottom of the eyelid.